In the headling act of the undercard, TUF 27 alumni Bryce “Thug Nasty” Mitchell meets fellow promotional sophomore Bobby “The Wolfman” Moffett in the Featherweight division. Moffett delivered an upset submission win over veteran Chas Skelly in his debut- he has won 4 in a row. Mitchell bested fellow cast-mate Tyler Diamond by Majority decision in his first go around in the promotion. Both men are 5’10”. Mitchell is the younger man by 4-years. Moffett continued his ground-based success with his 8th career win by submission; his third consecutive win by Brabo choke and 5th overall. The submission was controversial as the referee appeared to call the fight while Skelly was still conscious and had not tapped. Offering a similarly submission-heavy record, Mitchell has secured 8 of his 10 wins by submission. Mitchell battles his way through a grueling grappling heavy contest against Diamond. He found himself on both ends of the position transitions, just edging him out. Moffett was in a few bad spots early against Skelly, but worked his way to a superior position in round 2 before the finish. 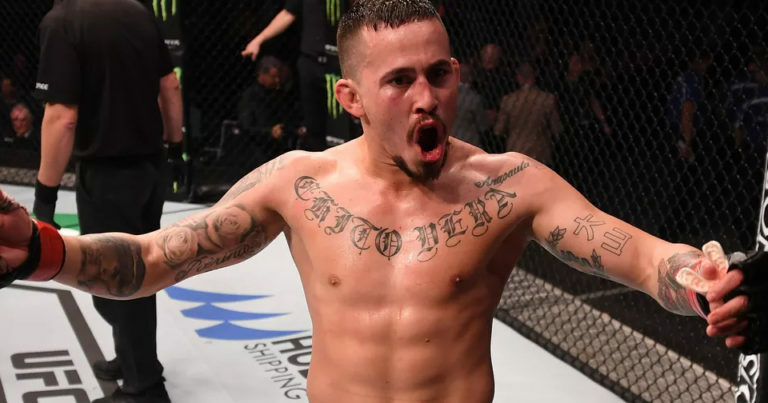 In a contest scrapped during the UFC 235 fight week, Marlon “Chito” Vera prepares to take on Frankie Saenz in the Bantamweight division. Vera is coming off of a pair of stoppage wins over Wuliji Buren and more recently Guido Cannetti- he has won 5 of his last 7 fights. Saenz is also riding a 2-fight winning streak with successful outcomes versus the likes of Henry Briones and Merab Dvalishvili. Vera is the taller fighter by 2 inches and he will also have a 4″ reach advantage. 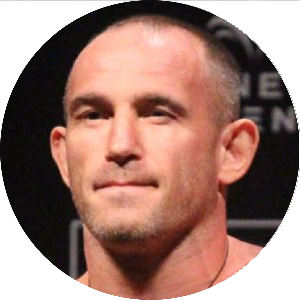 He is 12 years younger than Frankie who is replacing Thomas Almeida on a month’s notice. At his base, Saenz builds heavily on his NCAA D-1 wrestling background. 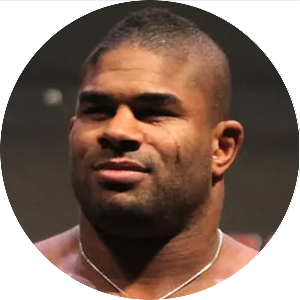 During his early UFC tenure he relies heavily on his takedown game and successfully returned to that approach in his most recent victory. Vera is not adverse to being on the ground. A capable submission threat, “Chito” has secured 7 of his 12 wins by tap out. While Saenz is a good wrestler, his TDD is far from perfect. He has been taken down 22 times during his UFC run including 11 in a recent split decision win. On the feet, Vera offers a decently diverse repertoire and enough stopping power to be a threat. Saenz has struggled at times against capable strikers, suffering a pair of knockouts and getting hurt on multiple occasions. Vera has fallen behind in recent fights only to rally and score impressive finishes. Saenz need to press him early and keeping engaging to replicate this issue. Frankie’s success has hinged upon his wrestling and he isn’t nearly as effective when it’s not an option. Vera is dangerous off his back and will make it uncomfortable for Frankie to take him down. Look for Marlon to utilize his kicks at range before closing the gap to attack from the clinch, eventually hurting his foe- my prediction is Marlon Vera to defeat Frankie Saenz by TKO. A former Bantamweight title challenger will continue to make a push for another shot at UFC gold when Canadian Alexis Davis meets fellow ranked contender Jennifer Maia in the Women’s Flyweight division. After a divisional debut victory over Liz Carmouche, Davis’s 2-fight winning streak came to an end via decision against Katlyn Chookagian. Maia came to the UFC on a 6-fight winning streak that included a pair of Invicta title defenses, but she dropped a decision to Carmouche in her Octagon debut. The Canadian is 2 inches taller and will have a 4″ reach advantage. Maia is the younger girl by 4-years. Davis is a well-rounded fighter, but opted to avoid utilizing her ground skills against Chookagian, landing just 1 of her 2 takedown attempts. On the feet, one of Davis’s best weapons are her low kicks. In her last lost she outlanded her opponent on the feet by a count of 70 to 62. Fighting out of Chute Boxe Academy, Maia will most likely look to keep this fight standing. Working behind a decent left jab she has just a trio of wins by knockout wins and keeps her hands tight and ready to unload. She has struggled when pressed by a takedown-centric fighter- Carmouche took her down 3 times on 4 attempts. Maia tends to be a little bit of a slow starter which often puts her behind on the scorecards. Davis is the more well-rounded fighter and will have a decent length advantage when trading on the feet. If Maia can draw the Canadian into a kickboxing battle, she could certainly edge her out on the cards. That being said, Davis is capable of winning this fight on the feet and will most likely augment her vertical output with well-timed takedowns and top control- my prediction is Alexis Davis to defeat Jennifer Maia by decision. In a fight with significant implication for both competitors, Canada’s “Quiet Storm” Rand Markos meets Angela “Overkill” Hill in the Strawweight division. Markos is coming off a draw with Marina Rodriguez ending a 12-fight streak of alternating wins and losses. Hill dropped a split decision to Cortney Casey to see her overall UFC record fall to 3-5. Markos is an inch taller, but will give up an inch of reach to Hill. Angela is the younger fighter by a couple of months. The Canadian has showcased her takedown proficiency. She has put her foe on the floor in all but 1 of her UFC bouts. Hill’s TDD has been a point of vulnerability. She has been taken down in 6 of 8 UFC contests. It is worth noting that in the fight where she gave up the most takedowns (3)- she won a decision. Where Hill has thrived is with her cardio and output. She has surpassed the century mark in significant strikes landed in each of her last 3 fights. Markos is willing to stand and trade, but she tends to be a a little predictable often throwing from the right side. She also tends to slow down in longer fights, making her attempts to get the fight to the mat less effective. Markos must control Hill on the mat and/or along the cage for long durations of this fight. Hill’s movement, superior cardio, impressive output are going to be problematic for Randa. The Canadian relies too much on scoring takedowns from the clinch. Even if she can find success in round 1, look for Markos to slow and struggle to close on Hill. Hill survives some tough spots early and spends the final 10-minutes countering and outlanding her foe- my prediction is Angela Hill to defeat Randa Markos by decision. Promotional sophomore Chris Gutierrez looks for his first UFC win when he welcomes the debuting Ryan “Main Event” MacDonald to the UFC’s Bantamweight division. Gutierrez fell to Raoni Barcelos by submission in his debut- ending his 3 fight winning streak. MacDonald is undefeated, most recently securing a submission win at LFA 48 last September. MacDonald is the taller man by 2 inches to go along with a 2″ reach advantage. He is also 2-years younger than Gutierrez. 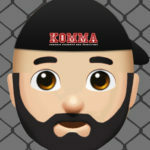 On the regional scene, “Main Event” faced a 6-5 opponent in LFA but in his 3 previous fights, his opponents carry sub .500-records totaling 28-39. He took the bout on short notice. Despite facing lower level competition, MacDonald’s record is devoid of early finishes- he hasn’t finished an opponent in the opening round since his pro debut. He has split his 6 finishes evenly between submissions and knockouts. The UFC newcomer won both the MCF Bantamweight and Featherweight titles. MacDonald is taking the fight on short notice and taking a sizable step up in competition. Conversely, Gutierrez has faced better competition, has his debut behind him, and is entering the bout on a full camp. MacDonald has struggled at times on the regional scene, including getting dropped 3-times in 1 round. Gutierrez should be able to replicate those issues- my prediction is Chris Gutierrez to defeat Ryan MacDonald by TKO. The first of 2 Flyweight bouts on the card will feature TUF alumni Eric “Showtime” Shelton taking on the debuting, but already ranked Jordan Espinosa. Shelton is coming off a narrow split decision win over Joseph Morales improving his Octagon mark to 2-3. Espinosa went 2-0 on the Contenders Series and has won 4 in a row. Both men stand 5’6″, but Espinosa will have a 3″ reach advantage. Shelton is the younger man by 3-years. Espinosa won his first Contenders fight via submission- the 7th of his career. He will look for takedowns early in a fight, but showcased some capable striking when force to remain on his feet. In similar fashion, Shelton has relied on his ground skills inside the Octagon. In his 2 UFC victories, he has completed 12 takedowns while relinquishing 16 over his 3 defeats. “Showtime” has struggle on the scorecards; he is 5-5 on the cards including a 1-3 record in split decisions. In his last fight, Espinosa routinely allowed his foe to push forward. He utilized sound footwork and his ability to strike while moving backwards. He scored multiple knockdowns before scoring the TKO in the final moments of the fight. Shelton can be a bit of a frustrating fighter and his record in decisions backs that up. He struggled with the grappling attack of Morales and found himself routinely caught in near subs. Espinosa will threaten with subs and has the wrestling to replicate Shelton’s previous defensive issues. On the feet, Espinosa is the more impactful striker that will avoid the majority of Shelton’s offense while countering- my prediction is Jordan Espinosa to defeat Eric Shelton by decision (possibly split).